Welcome to Day #13 of Chocolate and Hazelnuts Theme Week. 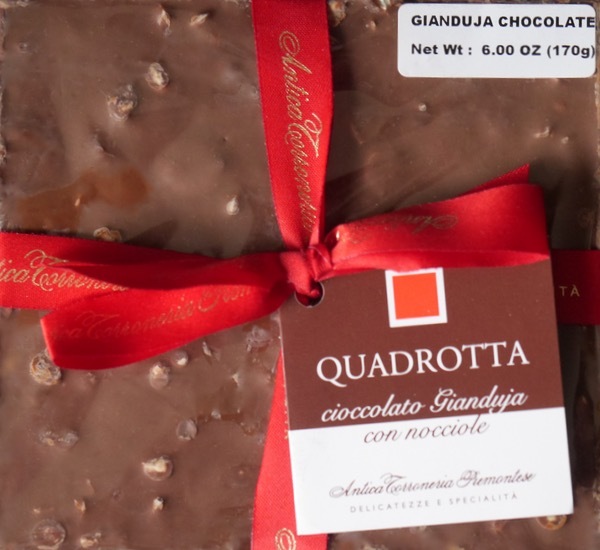 Today delivered up a large, almost geologic serving of chocolate and hazelnuts from northern Italy—home to a great many chocolate and hazelnut sweets. The 6 oz. 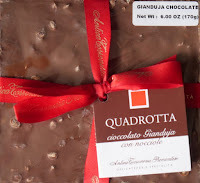 (170 g.) Quadrotta Cioccolato Gianduja con Nocciole bar was from Antica Torroneria Piemontese (Cuneo, Italia), a company located in the heart of the Piemonte (Piedmont) region in northern Italy known for its hazelnuts. 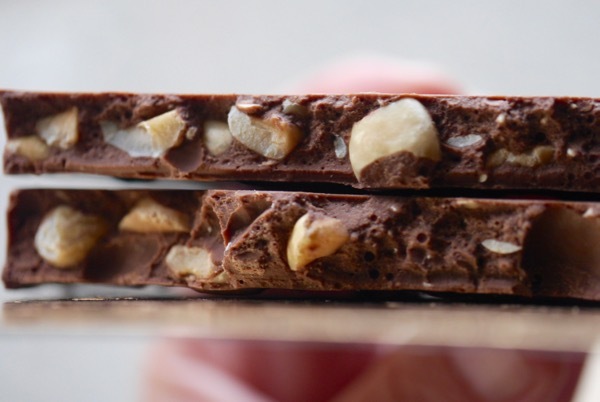 This thick, soft slab of gianduja—sweet milk chocolate (32% cocoa) with hazelnuts (40% of bar's content)—included a generous helping of embedded hazelnut pieces (perhaps roasted with some sugar, although I can't be sure). This chocolate confection was a bit sweet for me, but it was an effective blend of creamy and crunchy, and sweet and nutty.